The laws laid the foundation for the National Park Service as the lead Federal preservation agency and for the national historic preservation partnership that includes NPS, other Federal agencies, Tribal Preservation Offices, State Historic Preservation Offices, Certified Local Governments, and private organizations. The publication includes changes to the laws through December 2005. Please note: The citations in this book are no longer up-to-date. We have retained this edition online for its historic value, and for the plain-language context that it provides about these laws. 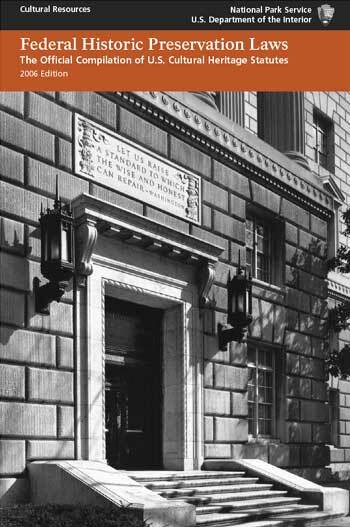 Please consult our webpage about Federal Historic Preservation Laws, Regulations, and Orders at https://www.nps.gov/history/laws.htm for up-to-date citations and links to the current text of Federal historic preservation laws. Each section listed below opens in a separate pdf.